Royal Bank of Scotland has confirmed it will relocate its registered headquarters to London if Scotland votes for independence next week. In a letter to staff, the bank's chief executive said there was no intention to move operations or jobs. Scottish First Minister Alex Salmond has accused the Treasury of leaking sensitive market data about RBS. A Treasury source dismissed Mr Salmond's claim as "absurd", calling it a "desperate distraction tactic". Mr Salmond said the Treasury had leaked details of an RBS notice to markets in breach of financial regulations. The first minister said he would write a letter of complaint to the head of the civil service and the prime minister. Scotland's first minister has described the country's independence referendum as a "process of national empowerment". Alex Salmond also said the people of Scotland were "rediscovering self confidence" and "finding our voice". He was speaking at a press conference for the international media with just a week to go until the independence referendum. The Edinburgh-based Scotsman newspaper says it is backing a "No" vote. In a leader piece, the publication said it was concerned about issues such as currency, EU membership and defence. Scotland's largest fund manager's boss said an independent Scotland would be a huge success. Martin Gilbert, chief executive of Aberdeen Asset Management said: "I think an independent Scotland would be a big success, but it is a secret ballot and I will abide by that." Prices in Scottish branches of John Lewis and Waitrose may be higher than the rest of the UK if the country votes "Yes". The chairman of the John Lewis Partnership told the BBC that it was "most probable" that prices will rise, as the costs are passed on to customers. Mr Salmond said the leaking of such information was a clear breach of city rules which barred the release of such information before the markets opened at 07:00 and called for an official inquiry. The news was broadcast on the BBC at 22:00 on Wednesday evening and Mr Salmond said he expected the broadcaster to co-operate with the inquiry. At a press conference with the international media on Thursday, Mr Salmond was applauded as he mocked the BBC for its "impartial coverage", and accused the "metropolitan media" of recycling old news about RBS and Standard Life. BBC assistant political editor Norman Smith said Treasury sources dismissed claims they deliberately leaked news about RBS preparing to relocate its headquarters as "absurd". Treasury sources said they were responding to inquiries from journalists. For what its worth, some bankers have seen the invisible hand of 10 Downing Street corralling these bankers to make announcements that have been embarrassing for Alex Salmond and those campaigning for independence. "There was someone in Number 10 trying to get the banks to co-ordinate on this" a senior banker told me. But Downing Street says this isn't true. So I cannot tell you if there is sinister Sassenach conspiracy here. What I can tell you is that there are some economic consequences from the relocation, but quantifying them is hard. It is understood they were contacted by The Sun newspaper after Lloyds had issued a statement about its future. Questions were then put to the Treasury about the future of RBS, which has been based in Scotland since 1727. They said the story about RBS potentially moving its headquarters had already been reported elsewhere previously. The sources also suggested that claims by Mr Salmond that any decision by RBS to relocate would have no impact, was wrong. They said if RBS had its headquarters in London the banking rules under which it operated would be drawn up by the Bank of England. RBS said in a statement on Thursday morning that it believed it would be "necessary to re-domicile the bank's holding company". The bank's chief executive Ross McEwan sent a letter to staff which said he did not believe moving the bank's registered headquarters would have any impact on its everyday banking services. The letter stated: "It is my view as chief executive that any decision to move our registered headquarters would have no impact on our everyday banking services used by our customers in Scotland. "This is a technical procedure regarding the rotation of our registered head office based on our current strategy and business plan. It is not an intention to move operations or jobs. "Our current business in Scotland, including the personal and business bank, IT and operations, human resources and many other functions, are here because of the skills and knowledge of our people, and the sound business environment. "So far, I see no reason why this would change should we implement our contingency plans." What have businesses been saying? BBC news online has been taking the views of business since the Scottish independence debate has been hotting up over the past few months. All have said it is up to the people of Scotland to decide their future. Some have sat on the fence, but others have been more forthright in their views. Satellite broadcaster BSkyB said it had no plans to change its business in Scotland, whatever the outcome of September's independence referendum. The founder of Barrhead Travel told his staff that a "Yes" vote in Scotland's independence referendum would be "a disaster". In a leaked memo, Bill Munro detailed what he saw as the dangers of independence and accused the SNP of misleading voters. Energy giant SSE, which is the UK's second largest energy supplier, said "a single energy market in Great Britain would be the most likely outcome in the event of a "Yes" vote". The world's biggest investment fund manager, Blackrock, said Scottish independence would bring "major uncertainties, costs and risks". Meanwhile, Scotland's largest fund manager's boss said an independent Scotland would be a huge success. Martin Gilbert, chief executive of Aberdeen Asset Management said: "I think an independent Scotland would be a big success, but it is a secret ballot and I will abide by that. "Most sensible people now accept that Scotland would be prosperous with either outcome in the current constitutional debate." Elsewhere, the International Monetary Fund (IMF) said a vote for independence would "raise a number of important and complicated issues that would have to be negotiated." A spokesman said the main immediate effect was likely to be "uncertainty over the transition to potentially new and different monetary, financial, and fiscal frameworks in Scotland." He added: "While this uncertainty could lead to negative market reactions in the short-term, longer-term effects would depend on the decisions being made during the transition. And I would not want to speculate on this." Lloyds Banking Group, Tesco Bank, Clydesdale Bank and TSB have all been setting out their post-referendum contingency plans. Lloyds said it could shift its legal home to its headquarters, which is already in London. However, Lloyds said this was just a legal procedure and "there would be no immediate changes or issues". The statement from Lloyds said: "While the scale of potential change is currently unclear, we have contingency plans in place which include the establishment of new legal entities in England. This is a legal procedure and there would be no immediate changes or issues which could affect our business or our customers. "There will be a period between the referendum and the implementation of separation, should a 'Yes' vote be successful, that we believe is sufficient to take any necessary action." Lloyds, in which the UK government has a 25% stake, owns Bank of Scotland and Halifax. The move of what Lloyds describes as "legal entities" indicates that the banking group is not suggesting there will be a mass relocation of its 16,000 Scottish-based staff. The move would simply mean that the bank would remain protected and regulated by the Bank of England. Clydesdale Bank, which is part of National Australia Bank, also said its contingency plans for a "Yes" vote included re-registering as an English company. TSB, which is registered in England but has a Scottish headquarters for its banking operation, said it would establish additional legal entities in England in the event of a "Yes" vote. And in a statement posted on its website, Tesco Bank said: "To ensure we provide long term continuity for customers after the transition is complete, our contingency plans include the creation of a new registered company, domiciled in England." "Scotland is an important market to us and will continue to be an important market regardless of the outcome of the referendum," added the bank, which is one of the five biggest lenders in the Scottish market. On Wednesday, insurance and pensions giant Standard Life said it was "planning for new regulated companies in England to which we could transfer parts of our business if there was a need to do so". Responding to the announcements by RBS and Lloyds, Mr Salmond said: "We know the moves both from Lloyds and the Royal Bank of Scotland will have no impact on operations or jobs. They are about brass plaques. "These are contingency plans and they make it quite clear in the statements that they make. "And the way to avoid any uncertainty in the financial markets is for the United Kingdom to say, following the Edinburgh agreement which they signed, that they will sit down reasonably with the Scottish government after people in Scotland vote 'Yes' in the referendum, and discuss these matters in the best interests of Scotland and the rest of the United Kingdom." Quick look - What are banks saying now? Lloyds - It said it could shift its legal home to to the headquarters it has in London. However, Lloyds said this was just a legal procedure and "there would be no immediate changes or issues". Clydesdale - The financial institution, which is part of National Australia Bank, said its contingency plans for a "Yes" vote included re-registering as an English company. 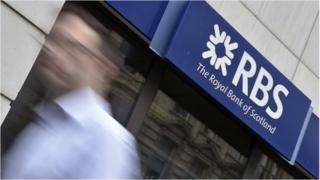 RBS - It confirmed it will relocate its registered headquarters to London if Scotland votes for independence next week. Tesco - Its contingency plans include the creation of a "new registered company, domiciled in England"
Elsewhere, John Lewis chairman Sir Charlie Mayfield claimed shoppers in Scotland could face higher prices if the country votes in favour of independence. Sir Charlie said the retailer had no intention of reducing its commercial presence north of the border, where it has nine shops, a contact centre and employs more than 3,000 people. But he cautioned that firms were unlikely to continue sharing the burden of higher operating costs in Scotland across all UK customers in the event of the break up of the Union. He told BBC Radio 4's Today programme: "From a business perspective there will be economic consequences to a Yes vote, not just in uncertainty but some of the turmoil we are hearing about. "And it is also the case that it does cost more money to trade in parts of Scotland and therefore those hard costs, in the event of a Yes vote, are more likely to be passed on." But he added: "On the day after the referendum the shops are going to open on time, nothing will change." Angus Grossart, chairman of merchant bank Noble Grossart, said that people should "not panic" following the decisions made by the two banks. He told the Financial Times that the impact of a Yes vote was "severely overstated". Mr Grossart, one of the most senior figures in Scotland's financial establishment, said people were "overreacting" to the threats of exodus of firms. "I think it is getting out of hand," he told the Financial Times. "To hear some of the comments you almost expect people to be predicting a plague of locusts or mice next."